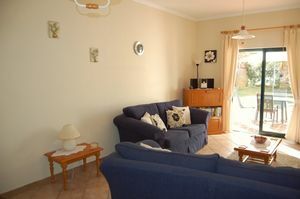 This good sized lounge has patio doors to the terrace and garden an electric log effect fire and under floor heating. 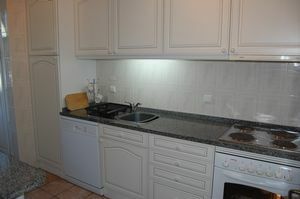 Fully fitted kitchen with a good range of white units with granite work surfaces. 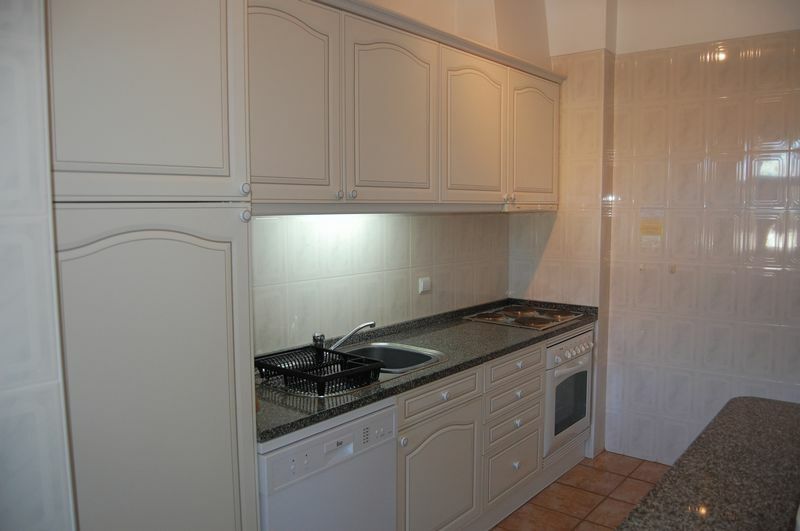 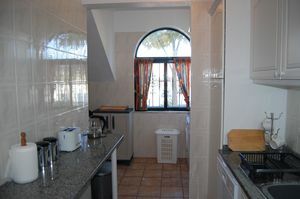 Fitted with a dish washer, washing machine, fridge freezer, oven, electric hob and electric water heater. 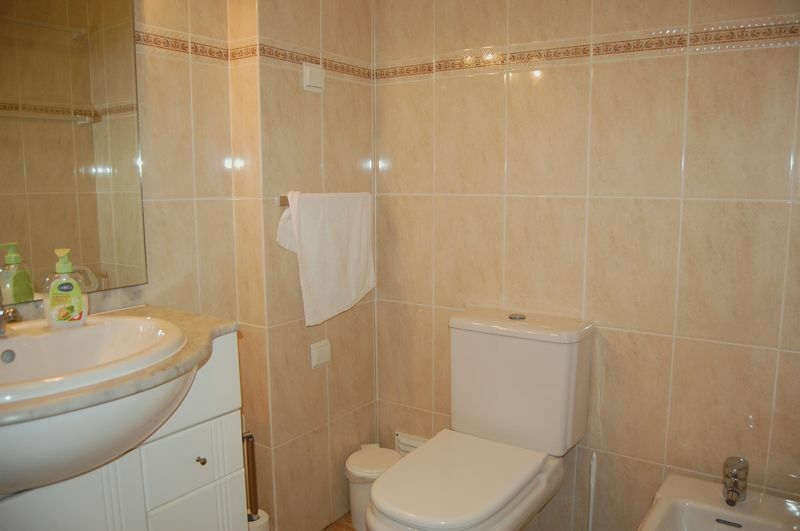 Fully tiled, with a window and under floor heating. This bedroom has fitted wardrobes a window and under floor heating. 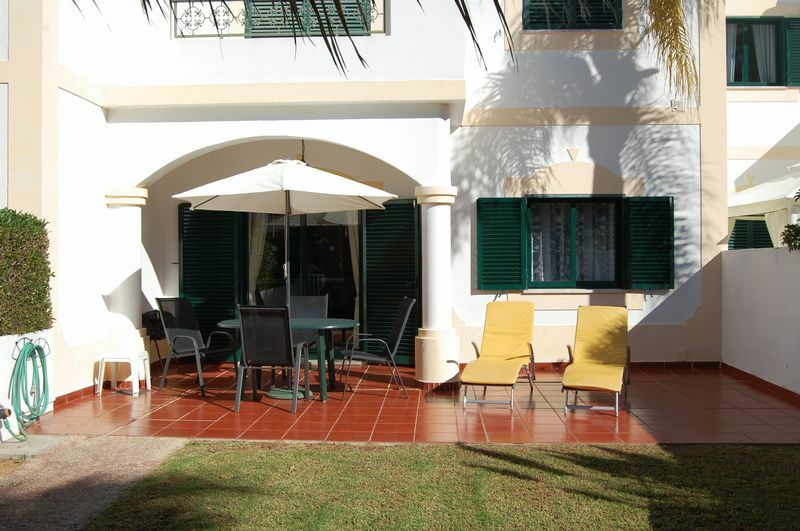 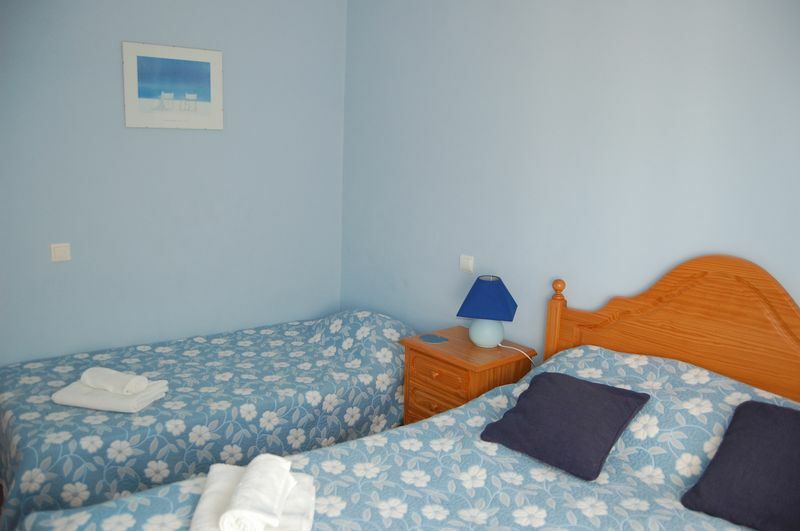 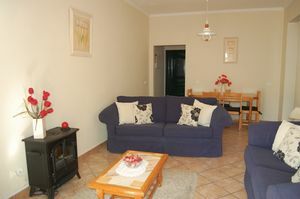 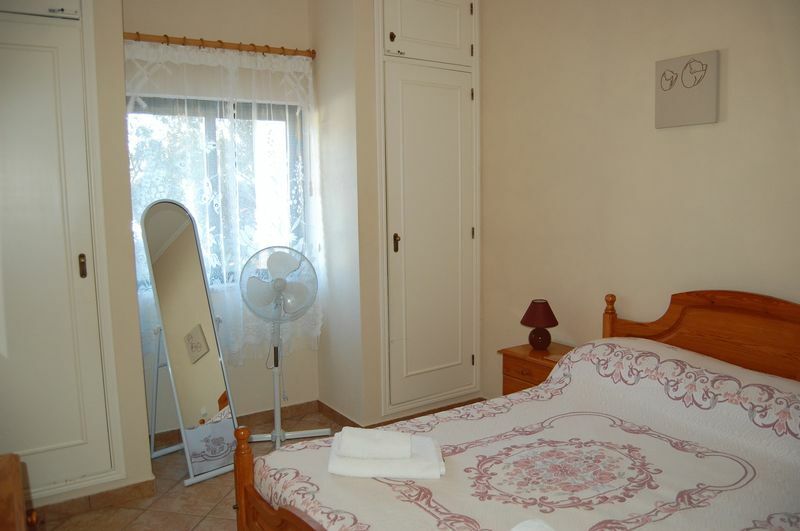 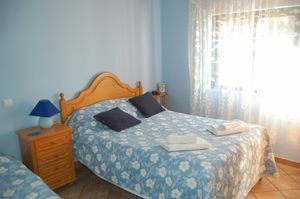 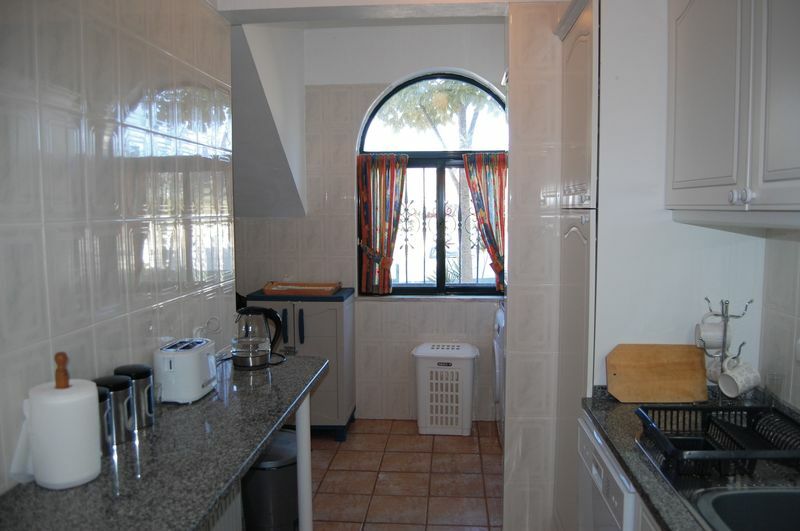 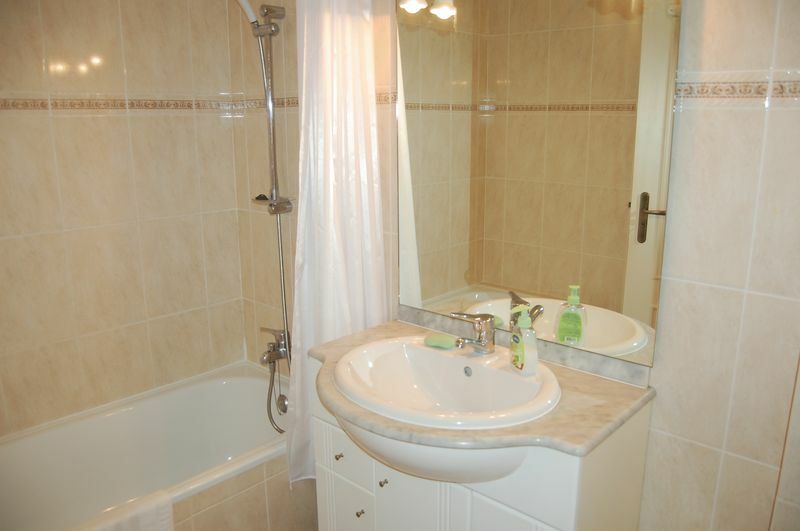 Double bedroom with an extra bed, a window and under floor heating. Fully tiled bathroom, fitted with a w/c, bidet, single basin with a vanity unit, bath with a shower fitting and under floor heating. 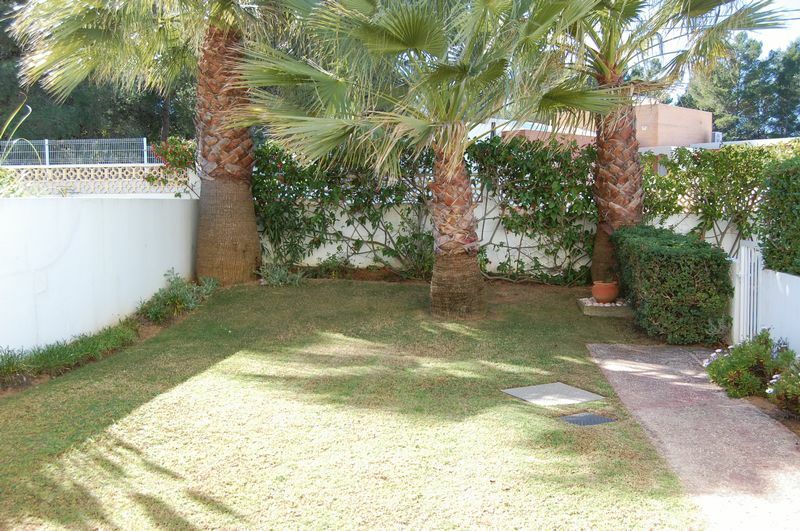 This 'L' shaped pool is 12 mts x 8 mts at widest points so is a good size for 6 apartments, it has a shower and ample room for sunbeds around it.